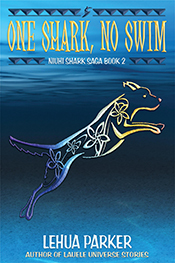 The Niuhi Shark Saga website contains discussion guides, classroom materials, the Pidgin Dictionary, and other activities related to the series. Click here to check it out. 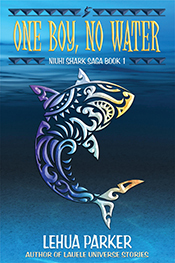 For a limited time, sign up for my Talking Story Newsletter and receive a free copy of One Boy, No Water as a gift. Click here to subscribe. When you’re allergic to water, growing up in Hawaii isn’t always paradise. 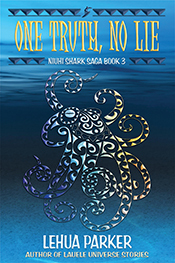 Because even out of the water, no one’s safe. Everything you thought you knew is a lie.